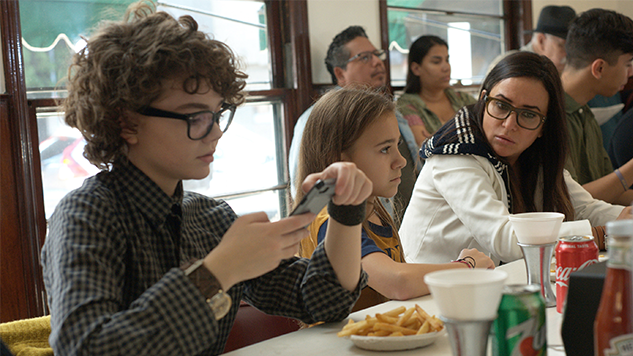 Pamela Adlon’s Peabody Award-winning comedy Better Things has been picked up for a fourth season, FX announced Tuesday. It’s welcome news, as the series has hit an incredible stride in its current third season, solidly occupying a top-five spot in Paste’s TV Power Rankings for two different weeks in March. The show follows Sam Fox (Adlon), an actress and single mother who never minces words. Besides looking after her three daughters, Max (Mikey Madison), Frankie (Hannah Alligood) and Duke (Olivia Edward), Sam also takes care of her English expat mother, Phil (Celia Imrie). “I am humbled, grateful and excited to tackle another season of stories and continue my creative partnership with my fearless FX team,” Adlon said of the news in a statement. Better Things is truly her project (Louis C.K. has left, don’t worry), with Adlon serving as writer, executive producer, showrunner and star for the show. She even directed all 12 episodes of season three, and picked up a Golden Globe and Emmy nomination for her role as Sam. The third season has eight episodes left through May 16, with “No Limit” airing on Thursday, March 28, at 10 p.m. EST/PST on FX.